Exploring the many elements of Kangaroo adaptations over time is quite amazing. Many experts are truly impressed that this animal has been able to evolve into what we know it as today. They are certainly very rare when you consider all that they offer compared to other animals. They can also live in regions that are too tough for most animals to be able to thrive in. There has been quite a bit of research about this particular topic. It is believed that the geographical changes as well as the changes in regards to the climate around Australia is what allowed them to take on the form that they have been so well known for. Some of these evolution processes are believed to date back more than 50 million years. In fact, there is evidence to suggest that they were once very similar in their anatomy to that of a possum. However, there is a serious lacking of fossils out there that have been collected to so far regarding Kangaroos. As a result it has made it virtually impossible to really piece together a timeline for their evolution as well as exactly what occurred. There are plenty of theories though but they continue to be debated on the various sides of the issue. If you are very interested in the past for Kangaroos this type of research is one that you may find to be very interesting. That way you can explore for yourself what the theories are and develop your own opinions about them. The Kangaroos live in areas that are very dry and often very little really grows in them. This is a huge adaptation that they have been able to make. It is believed that they once were more involved in living in grazing locations with lots of grass out there for them to consume. It isn’t fully understood what may have occurred to drive them to more desolate regions. One theory is that in these areas the Kangaroos are less likely to have problems with various natural predators. Since they are more likely to run than to stand around and fight it could have been exhausting to continually have to move around to avoid them. It could have been that what they normally consumed was no longer offered and so they adapted to such a climate in order to be able to survive. The control these animals have when it comes to mating is a very strong indicator of how they have adapted. When the land around them offers enough food and water they will mate during any time of the year. Yet when their is a lack of food or a drought both the males and females go through changes. The males will no longer be producing sperm which is a necessary part of successful conception. The females won’t allow any fetus that does end up being created to attach with the embryo. That means it would be able to grow. These methods help to control population when those existing are already struggling. The climate changes that Kangaroos encounter out there are also to be taken into consideration. These animals are able to go for a very long time without water. That is important when the dry season is longer than usual. While they do their best to adapt if these types of changes continue long term it could result in diminished numbers of these animals out there. 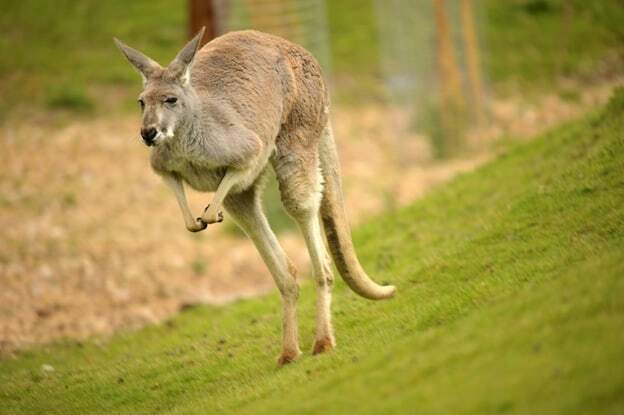 Even though the adaptations of kangaroos are remarkable, there is a limit to the changes they can encounter as well as how rapidly they can change behaviors. The fact that their environment in the wild continues to be invaded and destroyed by humans means that they may not have enough time to continue adapting. This is why the future for them is uncertain at this time.